﻿ Can I get new wheels under warranty? Can I get new wheels under warranty? Q. At the weekend, while cleaning my 2010 Kawasaki GTR1400, I noticed the rear wheel was bent on the right-hand side of the rim, where you’d expect to place a tyre lever. I know that a week or two ago I hit a pretty large pothole but there was no loss in tyre pressure or strange handling at the time. My local dealer examined the front wheel and found that to be even more badly damaged and only on the right hand side. My dealer put a claim in on the warranty but Kawasaki rejected it completely. I’ve had to pay for the wheels to be straightened. My gripe is with Kawasaki who completely washed their hands of any responsibility on a pretty expensive motorcycle. Could you offer any advice as to what I could do to get Kawasaki to help with the costs of repair or supply me with new wheels? I’m feeling pretty miffed about having paid so much for the bike and having no help under warranty. A. A warranty is there to provide a system between the owner and factory that ensures any manufacturing fault that crops up in the first two years of the bike’s life will be fixed. 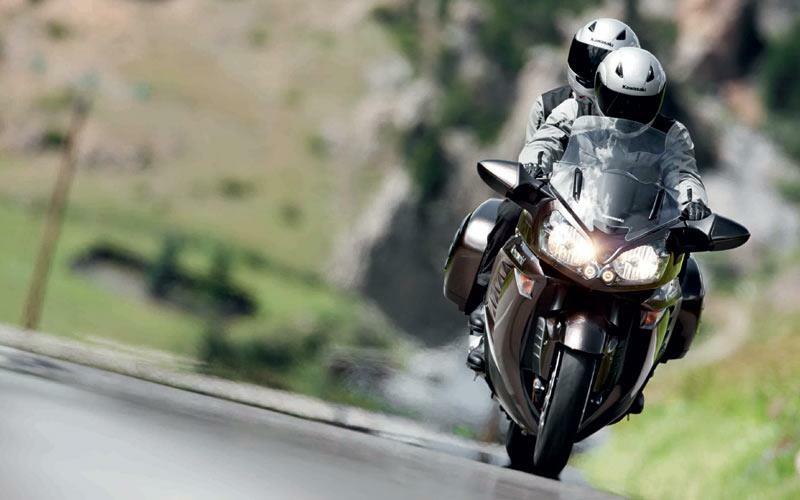 Kawasaki has no liability for the damage you unfortunately suffered and your choices are to settle the bill with your dealer or try to claim this back from your insurance company, minus any excess on the policy. My suggestion is that the best way to look at this unfortunate episode is that you were lucky you weren’t spat off your bike and now suffering physical injury as well as financial.